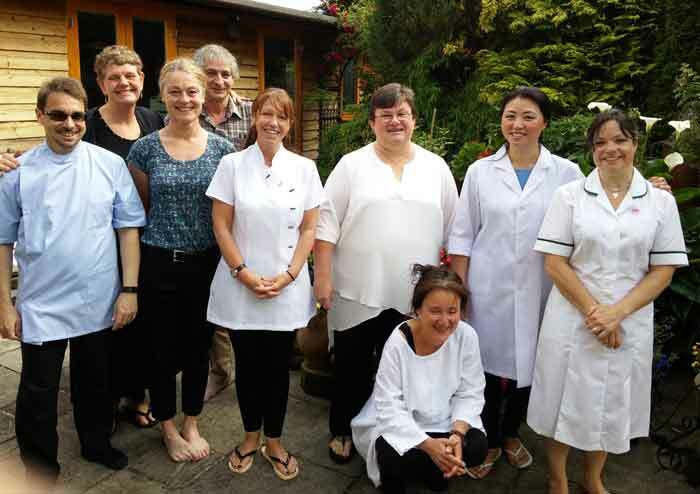 A&P, Module 1 – Tui Na Foundation, Module 2 -Tui Na Masters, Module 3 – Acupuncture and Indonesian Massage. “I came to Bodyharmonics after giving up my career as a management accountant. It has been a life long ambition of mine to help people and make them feel healthy. The first thing that attracted me was Maria’s photo on the website – her warm smile and story made me want to know about her. I also liked their quote for their acupuncture course – “start needling on the first day of your course”. As a British Chinese I am familiar with acupuncture and understand how important it is to gain practical experience whilst carrying out my study’s .Within a few months of following their “Learning and Practice” method, I started to achieve some amazing results. While carrying out some case studies – with 3 needles I relieved my friend’s neck pain which had been bothering her for over a year. On another case study (which involved 5 acupuncture treatments) my patient’s 30 years knee pain has stopped. I have really enjoyed my studies with Bodyharmonics and all the teachers have been excellent. Maria is highly skilled lady with a real passion for oriental therapies. Trevor has lots knowledge for Chinese medicine and is very wise. Graham is a talented person with strength, skills and always has a smile on his face. They not only helped me to be a confident student but also made me feel very at home when I was living in the student accommodation next door during my course.